...when our visit to Bali was slowly coming to an end. 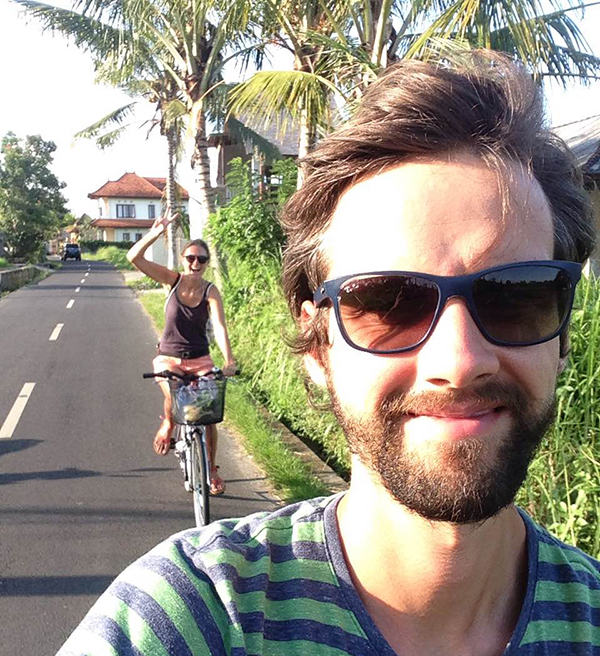 On that day, we decided to rent a bike for the whole day and go to our favorite area north of the town of Ubud. We had two places left there that we wanted to check out. Soaking in the beautiful sun and admiring the breathtaking views on both sides of the road, we moved slightly uphill, hoping that this time we would get lucky and get to see the spots. For several days, we had been looking for a center where we could organize a weekly workshop for our participants. This was the main reason for our second visit to Bali (the first one, two years earlier, was our honeymoon). For a long time, I had dreamed about organizing something more than just a workshop. A fascinating journey not only to the exotic corners of the world, but also into yourself, with a hint of yoga, meditation and field exercises in the most beautiful surroundings of the paradise island. The fact that the list of my expectations was very long didn’t make it easier for us to find the right spot. Almost all of them made a great impression, but there was always something missing. Fortunately, our last bicycle trip turned out to be a full success. What we found at our final stop was exactly what we had been looking for! A perfect place for meditation retreat on Bali. To this day, I remember every detail of our visit to Villa Gaia - wonderful people, large space, beautiful views over the rice terraces, one-of-a-kind atmosphere and comfortable rooms. At that moment, when we made our minds on Villa Gaia, the Insight meditation Retreat in Bali became a fact. You might wonder why we chose Bali. After all, it’s a very popular destination for.. pretty much everyone these days, isn’t it? That’s true, there are resorts in Bali, which are packed with tourists who just want to party and lie on the beach, having no clue what this island really has to offer. We knew, from the very beginning, that we want to keep as far away as possible from this hubbub. During our first two-month stay in Bali, we discovered such out-of-the-way places where I felt better than anywhere else. Where I could feel at home. Let's start with what this mysterious "Insight" really is about. As the name suggests, the Insight in Bali Retreat , is strongly related to my book Insight. Road to mental maturity. The word insight means an in-depth look into your inner self. This is the name I chose for my original method, which is a combination of self-coaching and self-therapy, allowing you to deal with your mental holdbacks on your own. This is a way to dive deeper into yourself, find the answers to the questions most important to you and establish a positive and healthy relationship with yourself. In the book, I describe methods for inner dialogue with various parts of your personality, such as Thinking with Questions or Inner Agreement. I also talk about how we can get rid of self-destructive mental habits and substitute them with emotional maturity and mental freedom. "Insight. 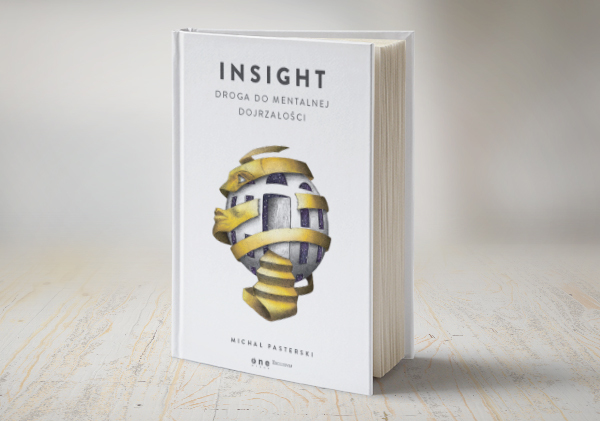 Road to mental maturity" is now available in Polish, and coming soon in English. Meditation retreat on Bali will be an opportunity for you to deepen everything what you’ve experienced through your adventure with this book in the beautiful place. Together, we will practice the methods described in the book and learn new ones that didn’t get to fit in there. In addition, we will learn yoga and meditation, ask ourselves important questions and share our experience within a small group based on mutual trust and acceptance. I am amazed by the sort of bond that is formed between the participants during our retreats and the amount of support they give each other. Our entire group will comprise 17 people, that is 14 participants, 2 coaches (me and Sandra Lasek) plus one member of Life Architect’s staff, who will be in charge of coordinating the whole event and take care of our group. Okay, but what exactly are we going to do for these 9 days? What does a typical retreat day look like? We start each day with a morning yoga and meditation session. After a healthy and light breakfast, we begin a series of workshops, which we wrap up around noon or 2 pm. After lunch, we set out on a tour. We are going to visit the most interesting places on the island. We have the following activities planned, i.a. : a 4-hour trek along the rice terraces, an excursion to the tropical jungle, an evening with Balinese culture, a walk by the ocean and watching a performance of the famous dance trance called Kecak Dance. We have prepared various coaching outdoor exercises, so that each of the above activities will be an opportunity for us to develop and stimulate self-work. I cannot even express my excitement every time I think about this retreat. This is a great and extremely fruitful time for the whole group. I’m glad that we have enough time to get to know each of the participants, answer all their questions and offer them support in facing and going beyond their limitations. I am convinced that deep and multidimensional self-work brings long-lasting results. The next edition of “Insight in Bali” Retreat takes place in March, 2019. I must admit that, at first, I wasn’t quite sure whether we find enough people interested in this type of retreat. I couldn’t be more wrong... The interest it attracted exceeded our wildest expectations. Just within only two weeks after we put out the first information about the meditation Retreat on Bali , half of the spots on the participants’ list were already taken. We‘ve already got to know Asia a bit, but there are still many undiscovered places left. Burma, Vietnam, the Philippines and a great number of other Indonesian islands - they are all calling me to come and it seems extremely tempting. I always have a great time in Bali, but these 9 days of diving deep into my inner self in such a one-of-a-kind company gives me the most satisfaction.